Where did the alien Builders come from? What is the source of the mysterious End that threatens the very fabric of the universe itself? 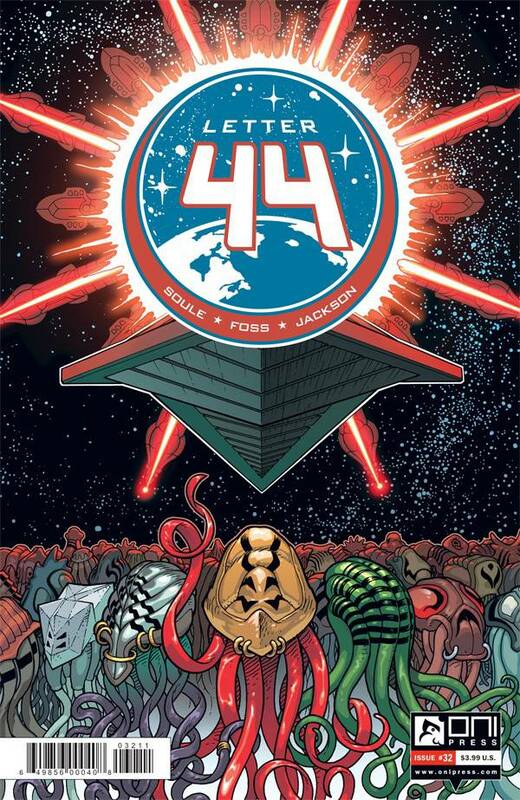 At last, with four issues left in the series, get the answers to these and other fundamental questions about the Letter 44-verse... BEFORE IT'S TOO LATE! Special one-shot issue illustrated by Langdon Foss (Get Jiro)!